They say that cash is king, and this is never more true than for small businesses. 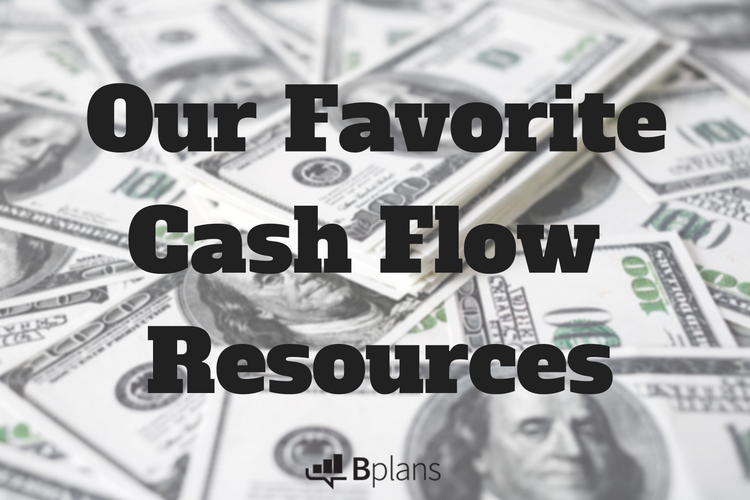 Here's a roundup of all the information you need to understand cash flow. A solid understanding of cash flow is incredibly important to small business success. According to a U.S. Bank study, 82 percent of business failures are due to cash flow issues. To help you ensure that you have a well-rounded understanding of everything you need to know, here are our top resources on cash flow—from why it matters, to how to manage it best. If you’re ready to jump right in, download our free, editable cash flow statement template. You’ll be able to create a customized cash flow statement by filling in the necessary info from your business. If you’d like a little more background reading before you get started, download the template and follow along with one of our resources below. 2. Cash Flow 101: What Is Cash Flow? Our five-part ultimate guide to cash flow offers the most in-depth look at the subject, and covers it from a variety of angles. You’ll learn about the what cash flow is, the symptoms of potential cash flow problems, how to build a cash flow statement, the best ways to manage your cash flow, and how to navigate cash flow issues while growing your business. If you’re looking for thorough coverage of the many facets of cash flow management, don’t miss this article series. If you prefer to learn via downloads, our free downloadable cash flow ebook is a good place to start. We’ve partnered with Fundbox (who authored the series above) to create this comprehensive ebook, covering all the details of cash flow. The only difference you’ll find between the above series and this ebook is the format, so depending on your preferred learning style, the downloadable version may suit your needs better. Here, you’ll get a solid understanding of why cash flow matters, and you’ll learn why it’s important to monitor cash flow in your business. If you’re after an introductory primer on the topic, start here. This article will help clear up the difference between cash flow and profits (which, it should be noted, are not the same thing at all!). So, you understand the basics of cash flow. Now, it’s time to look forward; how can you determine if your business will run into cash flow issues down the road? If you feel you’ve got a good handle on the basics and want to get a better understanding of how to insulate your business against a cash crisis later on, check this one out. In a similar vein, this article on Tim Berry’s personal blog takes on the task of explaining the process of projecting your cash flow. Knowing how to project cash flow will save your business hardship in the future, and enable you to make business decisions now (like determining if it’s the right time to buy that new piece of equipment). If you’re having cash flow troubles currently, you may want more actionable advice. Here you’ll find six common cash flow issues explained, and you’ll learn how to resolve them in the present, and what to do to prevent them in the future. Does your business experience regular seasons of increased activity, followed by periods of time where business is markedly slower? This can make it especially difficult to manage cash flow. In this article, you’ll learn techniques for managing cash flow in a seasonal business, and how to adapt to seasonal changes. If you want to get a sense of how your sales, inventory, and other variables impact your cash flow, our handy cash flow calculator is the way to go. Simply plug in your information and gain valuable insight about your cash flow, and experiment with the factors that impact it. Are there any facets of cash flow that we haven’t covered? If so, please let us know! Share this article on Twitter or Facebook with a comment, or let us know directly @Bplans!